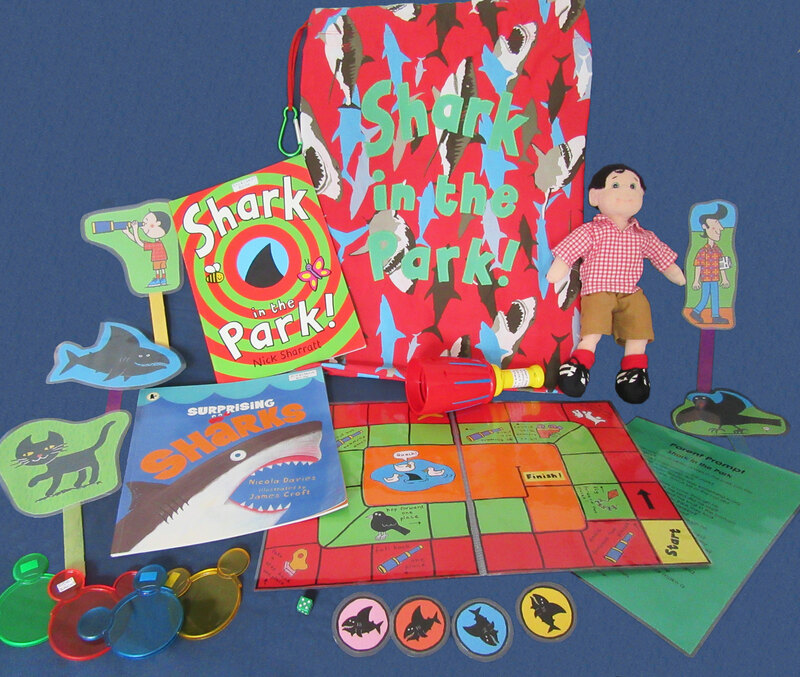 A ‘Shark in the Park’ storysack has recently been completed. Funded by Myatt Garden P.T.A. it was made by Lisa, Storysacks Librarian. “It took 2 years to make it in my spare time, Timothy Pope’s hair and clothes were quite fiddly”. This story is one of the Early Years Core Book List titles, with it’s brightly coloured illustrations it’s a big favourite with the children. 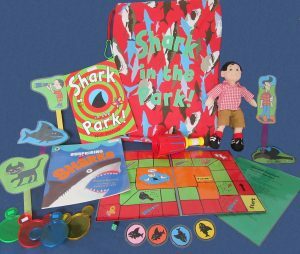 This entry was posted in Core Books, News and tagged Early Years Core Book List, Myatt Garden, Shark in the Park, Storysack, Storysacks Library on 14/07/2017 by Lisa Bennett.